Where does man's nature come from? What is it made of? How does a person get his nature? Man's nature comes from that which the soul has borrowed. It is not the being of the soul; it is that which the soul has added to itself. Just as innocence in someone shows an angelic nature, so intelligence shows the nature of the jinn, and a good manner or a sympathetic attitude shows human nature. The nature of a person is not the same as his false ego, but the false ego is obsessed by his nature. Everyone has brought with him on earth a certain nature, and it is not always easy to get rid of it. A lion may be trained by his keeper and may work under a certain discipline for twenty years But one day his predisposition may be awakened and he will turn on his keeper, thus showing his nature that had been hidden; it will show that he is a lion. With all the training he has received and all the humility and surrender he has displayed, he is still a lion. Besides a man's nature is what he has inherited from his earthly parents, either from his mother's or from his father's side; it may not be from his parents but from his grandparents, and if not from his grandparents then from his great-grandparents, or perhaps five or six generations back. There is some part of his nature that he has brought with him and it is there. It is no use denying it. Then one might ask where and how the character is built. The character is built by habit, by whatever habit one forms from childhood; and as the habit stays with one so the character is molded. If there is a habit of answering back, of interfering, of being curious, sarcastic, or ironical, or if there is a habit of being respectful, gentle, humble, or modest, if there is a habit of being proud and conceited and boastful, of pushing oneself forward, or if there is a habit of being thoughtful and considerate – according to this habit one's character is made. It is the same electric light which one sees in the most ordinary shop and in the most beautiful palace. What is the difference? It is not the difference of light. It maybe the degree of light, but very often it is the difference of the globe. Sometimes the globe is so beautiful and so costly that it changes the whole light. And it is the same with a beautiful character: it changes the whole person, so that he can be called noble or something else according to the globe that covers him. Whatever path a man takes, he will find encouragement to go further on that path. Naturally, therefore, if a man is not careful as to where he is going he may end up anywhere. He may fall into any pit, any hole; and nobody comes to pick him up once he has fallen. The deeper he falls, the less people will look at him, for everyone, either consciously or unconsciously, is looking for someone who is going upward. No one is anxious to associate with someone who is going downhill. Even his best friends will leave him some day. Therefore, to study the mystery of character, to think about it and to build it, is life's main purpose; that is the chief education. There are some people who are interested in building their character, but at the same time there is always a conflict between their character and their nature; for the character is made by a certain habit, but the nature says, 'You must not make this a habit. I will fight with you about it.' For instance, a coarse person may have formed the habit of being very polite, but we can usually find him out if we speak with him for a little while, for then the conversation may end in impoliteness. It begins with politeness, it ends with impoliteness, because then the nature conquers the character, proving thereby that there was rudeness in the nature and that politeness was only an outer cover. There is another person who is told, 'This is the king's palace, you may not speak.' But he is very talkative, and when he sees that nobody is looking and that he is out of earshot, he will begin to talk as soon as he has found someone who will listen to him. He is only silent because he is obliged to be silent, but it is his nature to talk; and when he wants to change his nature it is very difficult. An effort made to change someone's character does not always meet with success. People who want to develop a certain aspect in another's character frequently produce a kind of confusion in his soul, and very often parents and guardians who want to change the character of their son or daughter make a great mistake; they spoil the character instead of making it better. One sees thousands of cases where such mistakes have been made. There was a Maharaja in India who was a great educator. To all classes of his subjects he gave the most wonderful education, even to the very lowest. One would imagine that a ruler who was so interested in the education of every youth in his country would naturally make a success of the education of his own children, but every son of his died a drunkard, every single one of them. This shows that to wish to change the character is one thing, but to try to change it and to know how to change it is another thing. It is easy to help children, but it is most difficult to help the grown-up. One may change snow into water and water into ice, but to try to change a character is the most difficult thing one can ever imagine. Therefore, it is usually vain to try. But what one can do is to build one's own character; that is in one's own hands. Only, what people are most occupied with is the character of someone else; they are always thinking of the other but they never want to change themselves. Personality also has an influence on the other planes, just as character and nature have. If Farid 1 could change himself into a cow by concentration, there is nothing in this world which cannot change; but only if we want to change. The one who does not care to change will never change. But the power constantly working from within can no doubt change the nature to anything, right or wrong. The life of humanity is not only nature, it is an art, and art is an improvement on nature; through art God finishes His creation. That is why the building of the character and the developing of the personality is an art, an art by which the purpose of life is fulfilled. Among all the different schools of esotericism and mysticism the Sufi school has concerned itself most with the development of personality. As a Sufi poet says, 'If you have a diamond, if you have a ruby, what is it? If your self is not developed into a precious spirit, the diamond and the ruby are nothing.' And another Sufi poet says, 'In order to worship God angels were made. In order to eat, drink, and sleep animals were made. Why was man created? Man was created in order to develop into a person, that he may be an image of God.' Image in this verse means God's spirit, God's tendency, God's outlook, God's nature. It means that there is divine nature in man, if only he can develop it. And when that nature is developed, then personality becomes a phenomenon; such a personality spreads harmony, peace, thoughtfulness, and consideration. Besides it is not the teacher's responsibility to make his pupil an occultist. The Sufi teacher never wants his pupil to be come an occultist or a great psychic or a man with great power. This does not mean that he will not become powerful, but the responsibility of the teacher is to develop the personality of the mureed, that it may reflect God, that it may show God's qualities; and when that is done then the responsibility of the teacher is over. Then he can only pray for the pupil, for his well-being. 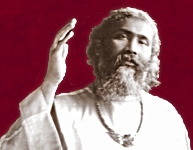 1 - For the story of Farid, see 'Mental Purification,' The Sufi Message of Hazrat Inayat Khan, Vol. IV, p. 109.